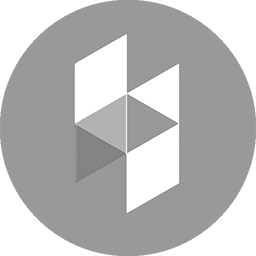 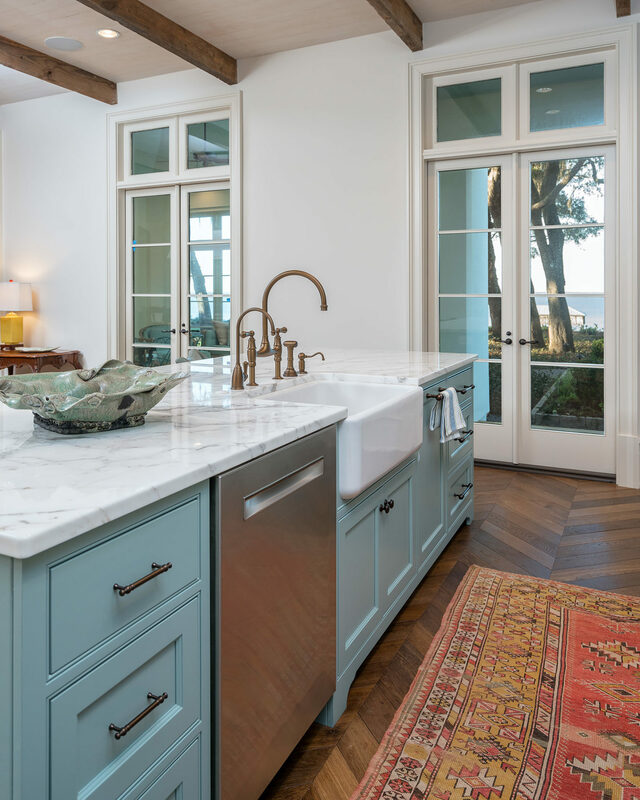 This beautiful waterfront home had a few unique features throughout the house. 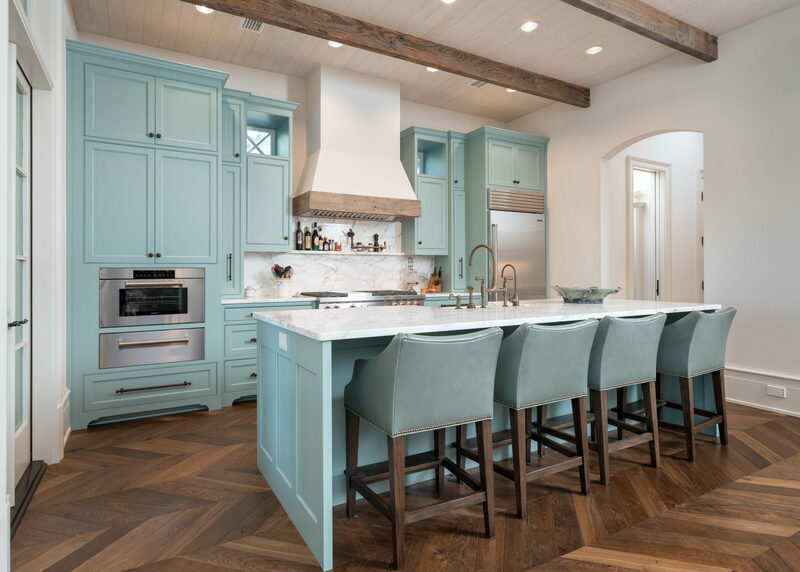 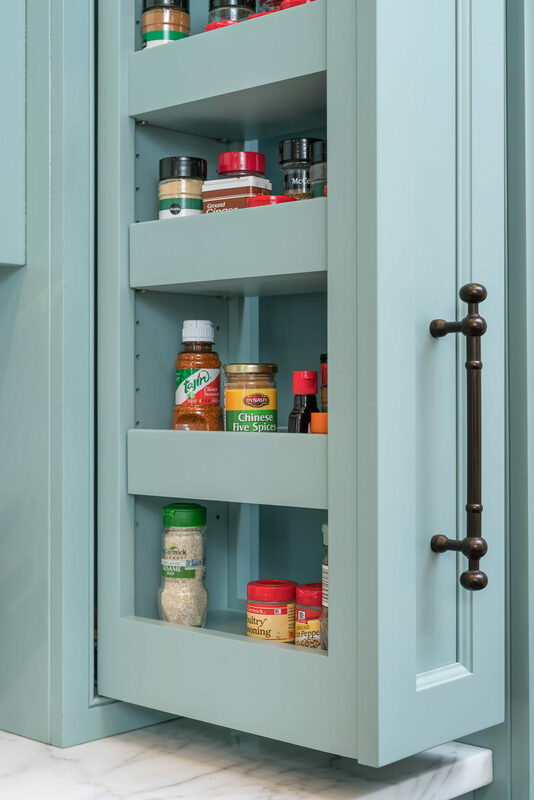 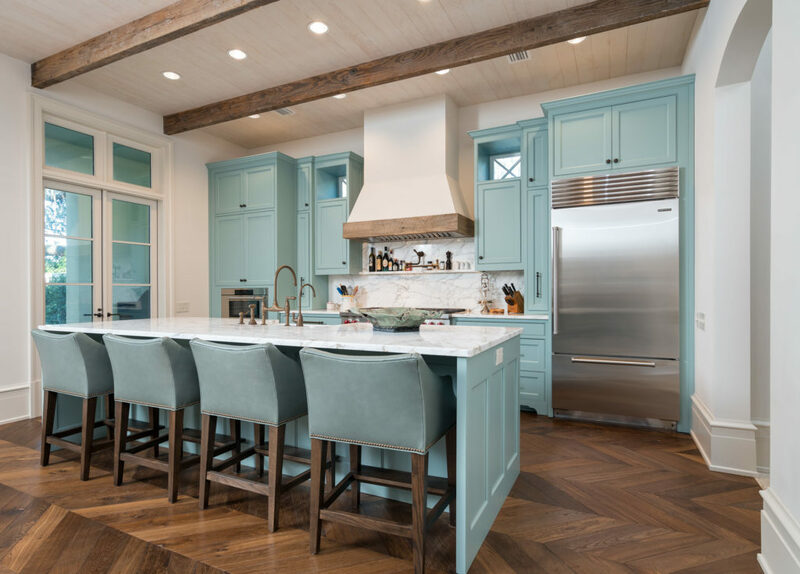 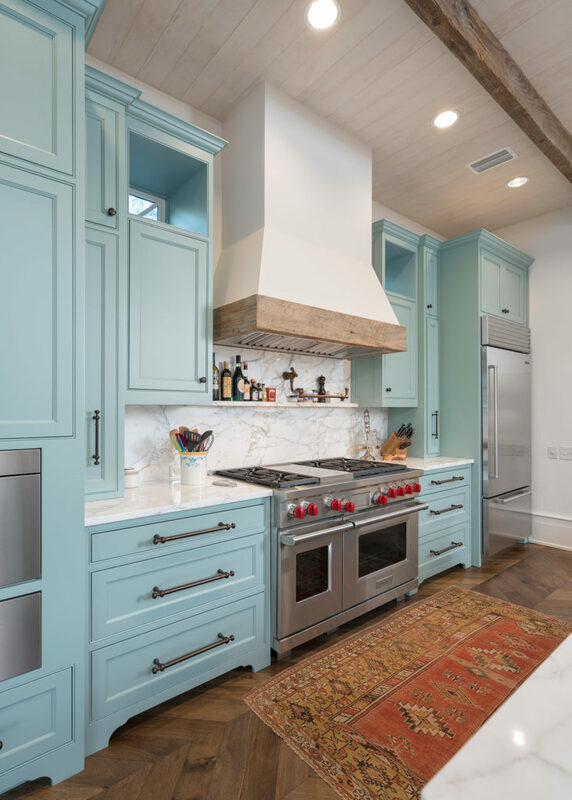 In the kitchen, the homeowners chose beaded inset cabinetry with recessed panel doors and a mix of recessed and slab panel drawers on the island. 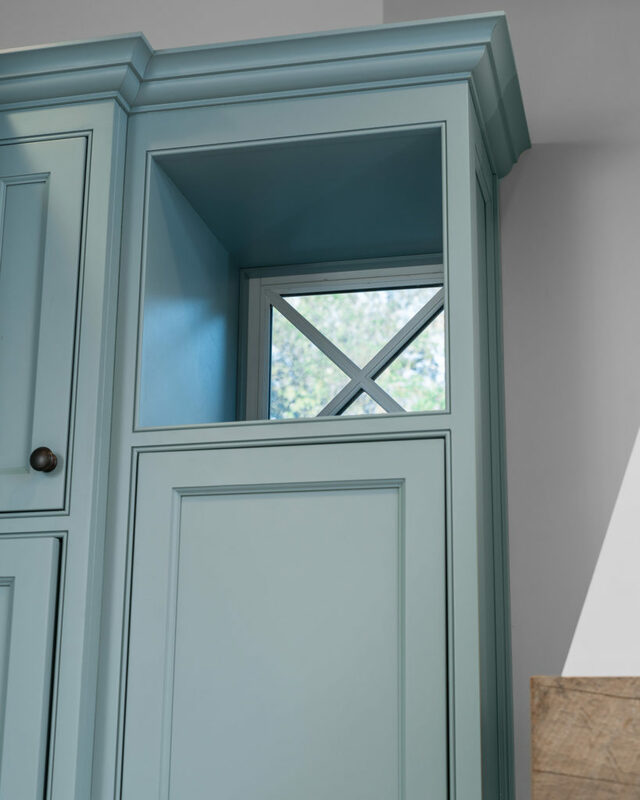 When the house was being built there were two windows in the kitchen that the cabinets were going to cover, but we didn’t want them to lose the natural lighting that those windows provided. To keep the natural light in the kitchen we framed the windows with the cabinets. 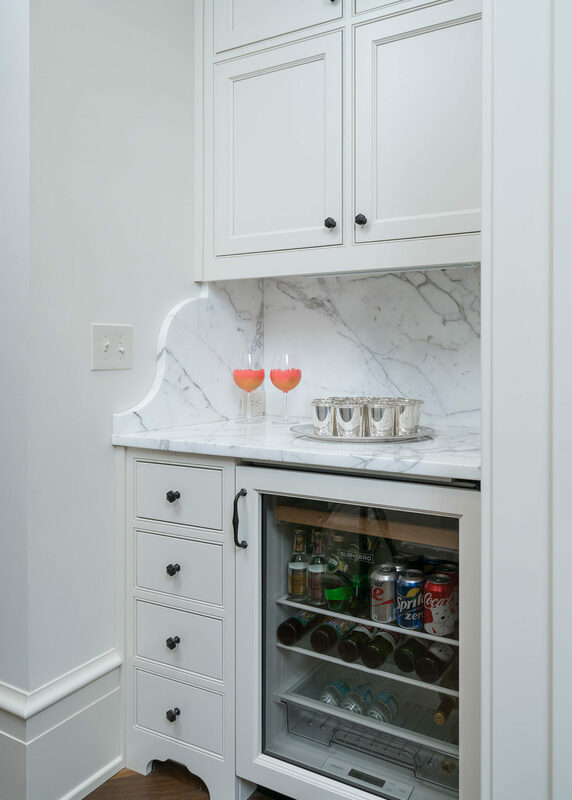 Each entranceway out of the kitchen features custom cabinets for a coffee bar and two wet bars. 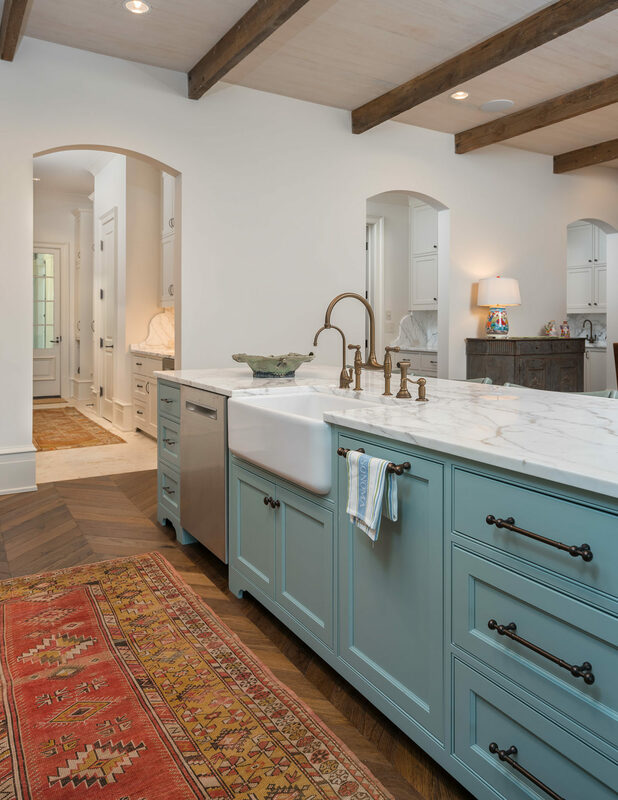 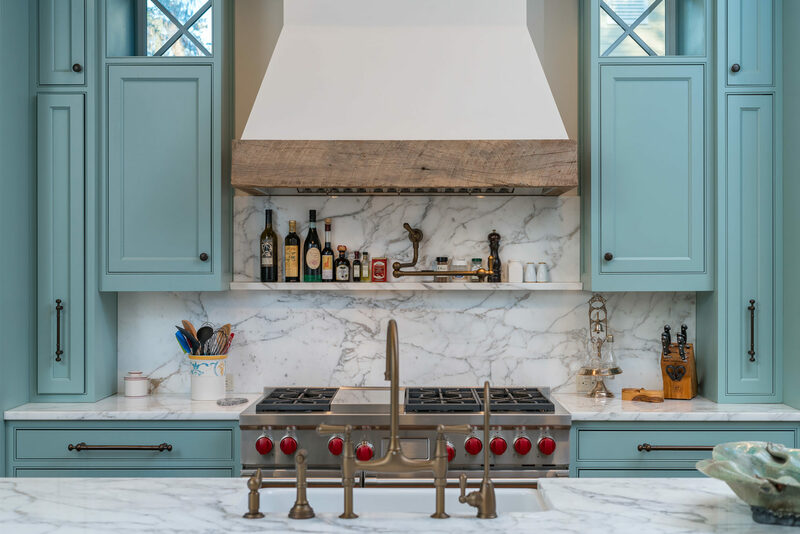 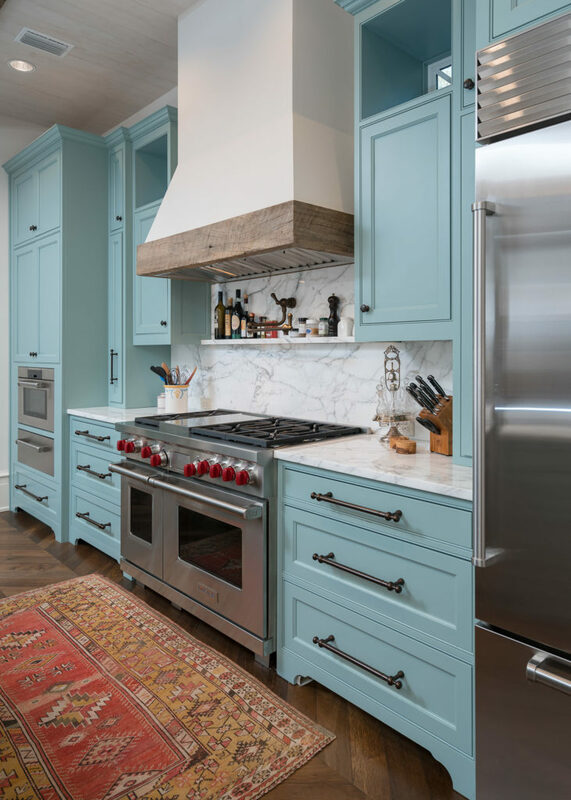 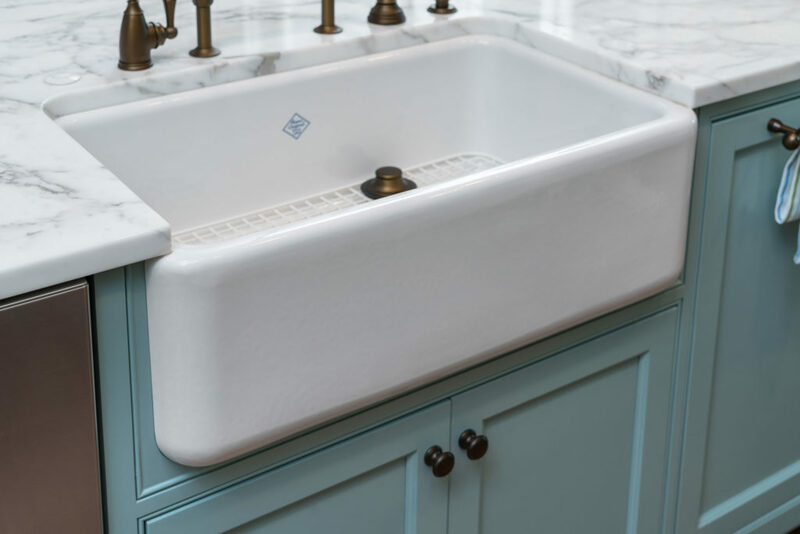 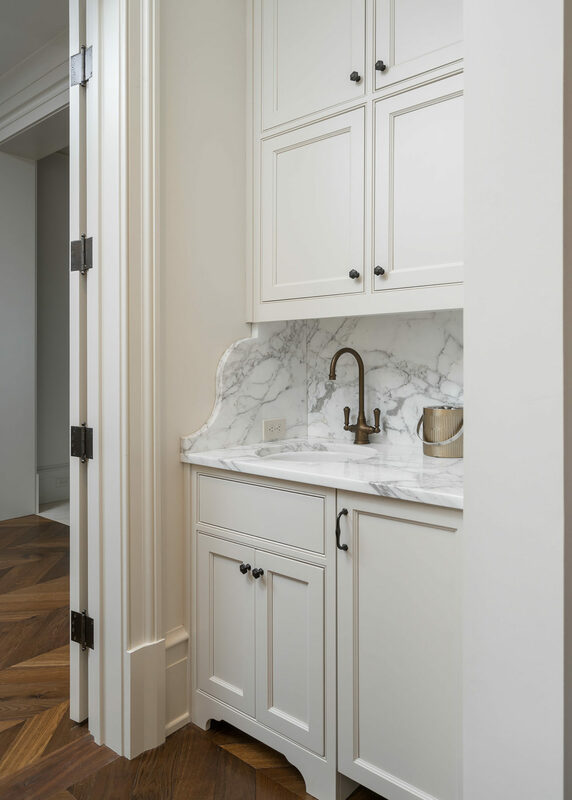 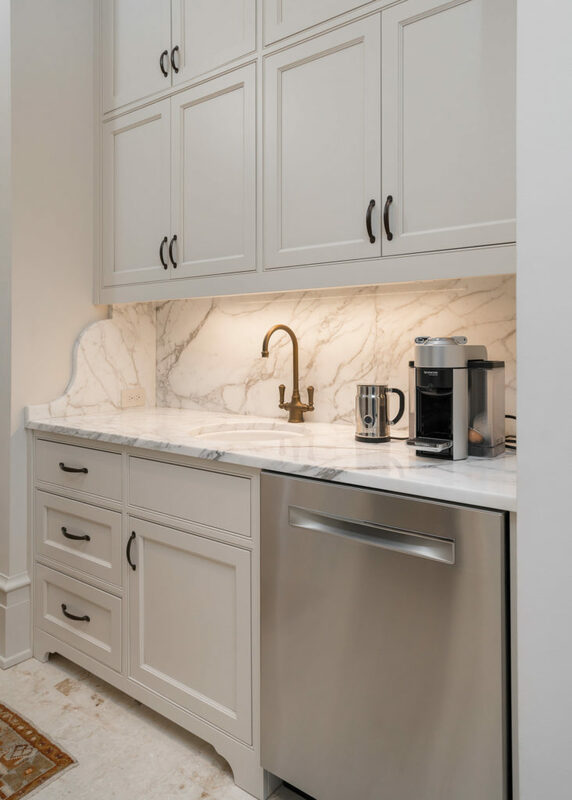 The homeowners chose to have these beaded inset cabinets with a mix of slab and recessed paneled fronts painted white while keeping the countertops consistent. 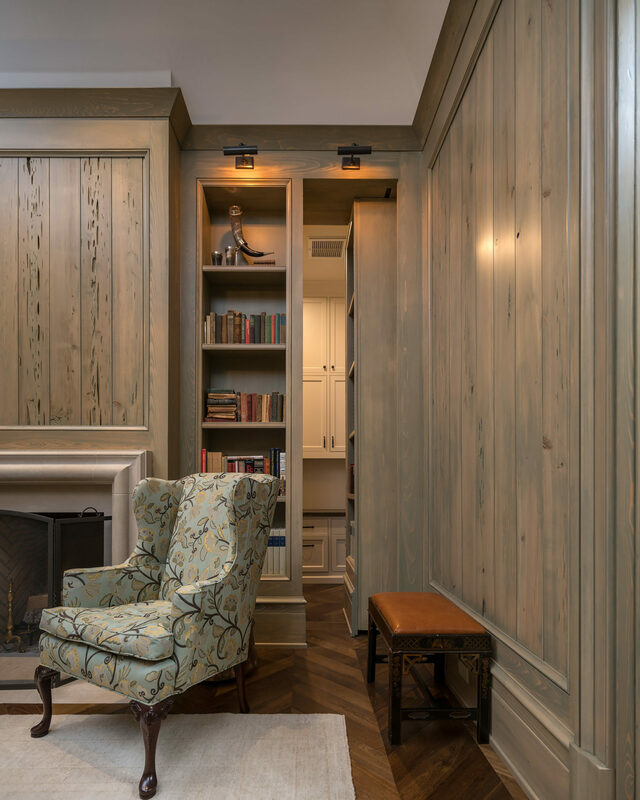 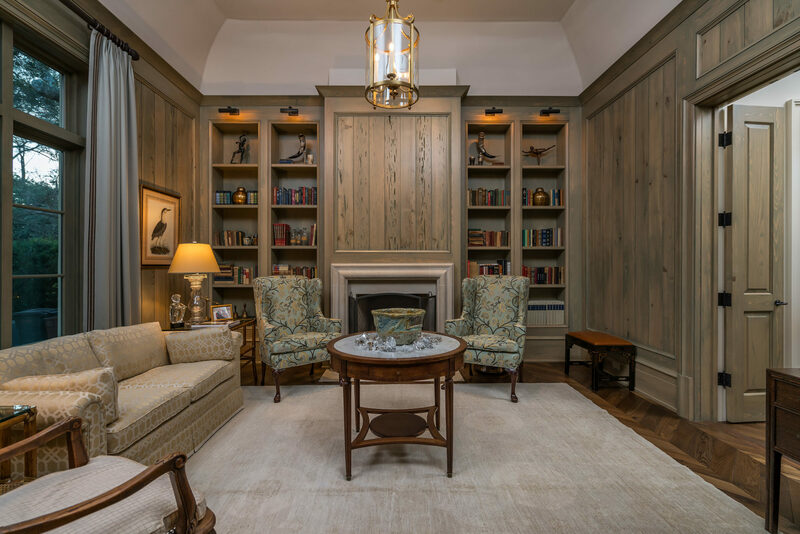 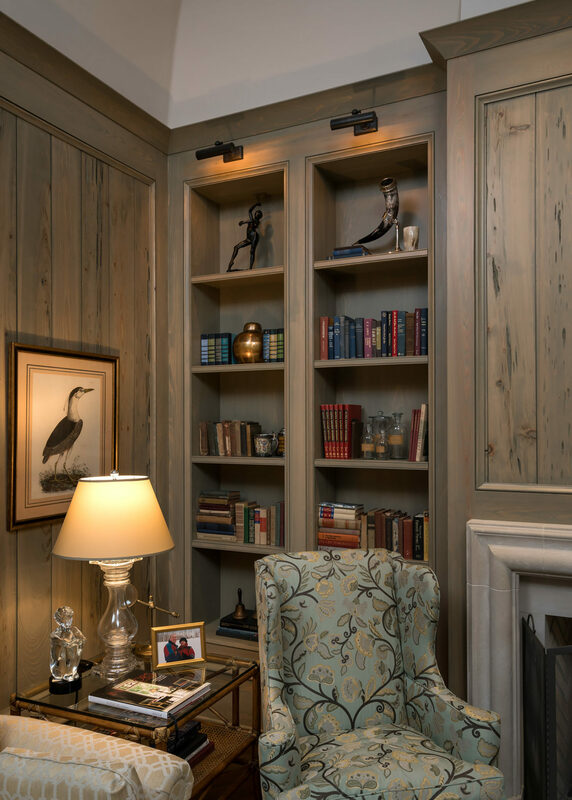 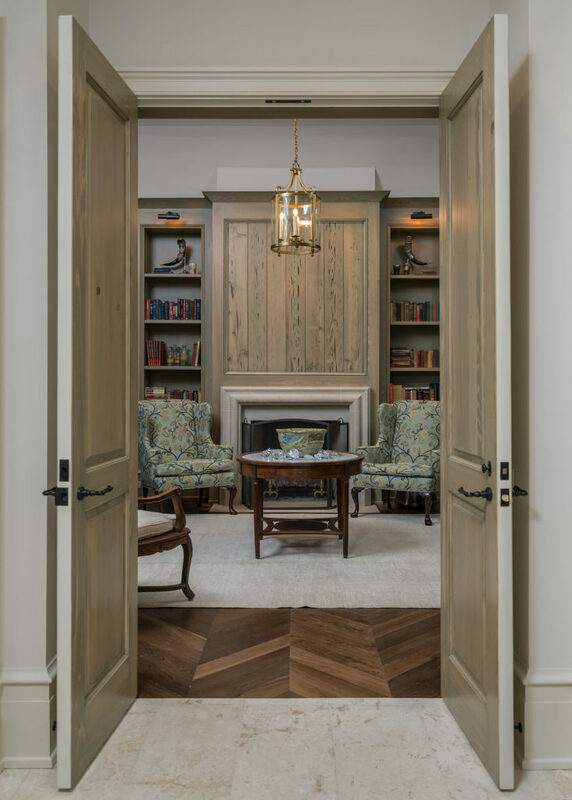 One of our favorite parts of this custom home is their pecky cypress library. 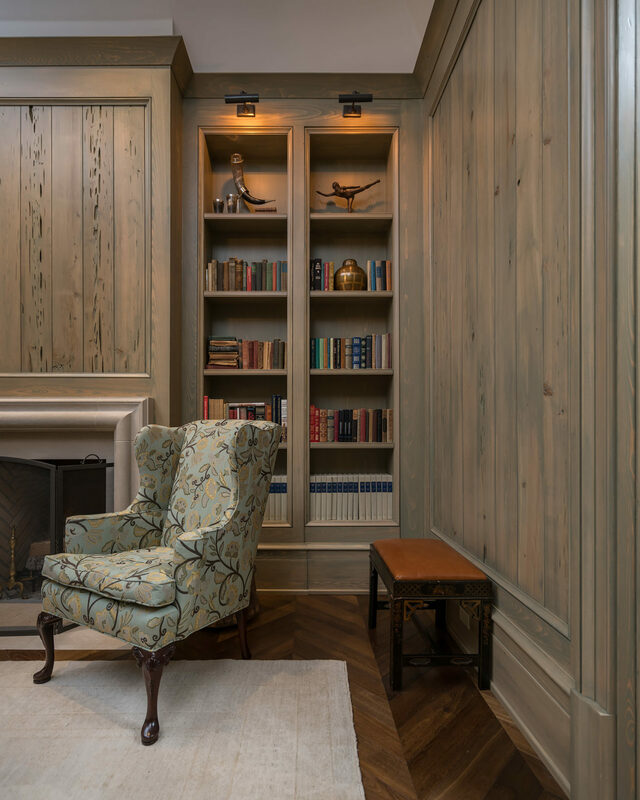 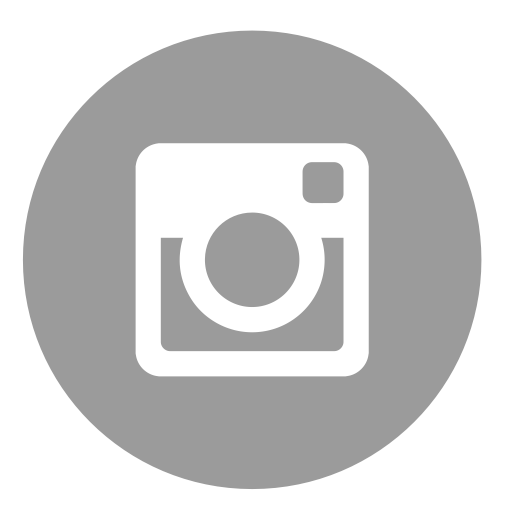 The walls of this room are paneled with pecky cypress and the fireplace mantle is also built with this species of wood as well. 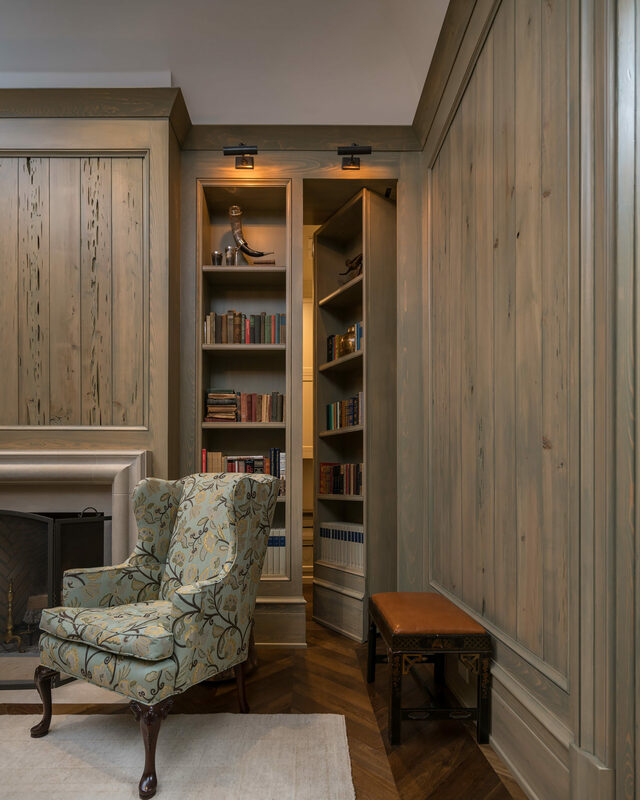 The best part of this library, in our opinion, is the hidden bookshelf door that leads to a home office space.